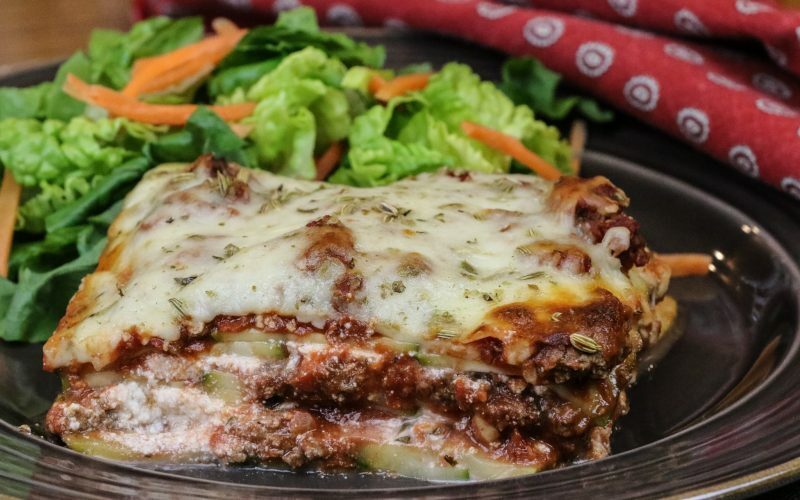 Thinly sliced zucchini replaces the pasta in this ready to pop in the oven dish that has layers of ground beef and our marinara, ricotta and parmesan. Topped with a bit of fennel, oregano, and mozzerella cheese. Served with a green side salad.